Well, isn't it just the way. It's the last bank holiday of the summer in the UK before people start to use the 'C' word (yep, Christmas people, it's 121 days away, just saying), I've booked an extra day off work for a 5 day weekend bonanza, new yarn is on order, I've got a weekend of crochet stretched out in front of me and on the first day of my holiday I got sick. I tried to shake off the hot/cold thing I had going on the day before, telling myself I was fine, it had just been a long week, but by Friday, I was hunched up in the bathroom feeling very sorry for myself. Coop is not one for sympathy (well unless it's directed his way of course) and insisted that I would be fine if I just got back out of bed. Only two things made him realise I really was poorly; 1) me being sick, 2) declining his offer to bring me some yarn and hooks to my new makeshift bed on the sofa. Luckily for me, my besty, Fergface responded to my needy call and brought some lemonade, lucozade, rich tea biscuits, digestives and bread to my doorstep so that I had something plain to sooth my stomach after Coop went to work and I could imagine eating something again. And throughout, my ever faithful Squitchy laid by my feet and didn't even try to ask for a walk. He's a good boy. Can you guess what I'm working on? I'm hoping it will be finished in the next couple of days depending on how I'm feeling and of course will be posted up on here once it's done. The other thing that is keeping me chipper is Yarndale. 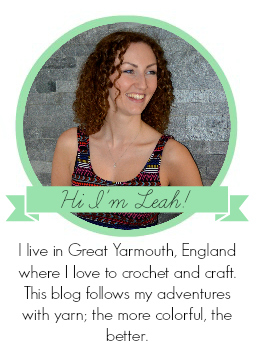 Did you notice the 'I'm going to Yarndale' badge on the side of my beautiful new blog? 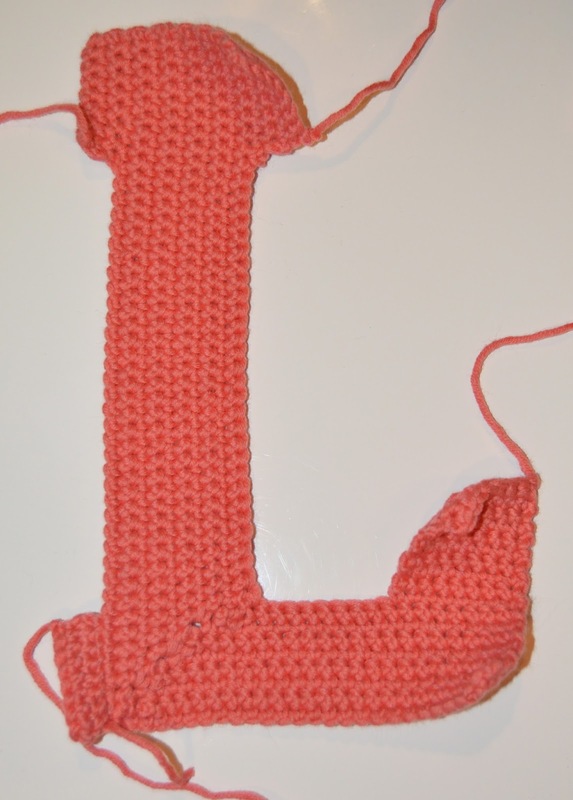 It's a fantastic new yarn festival being held in Skipton, Yorkshire arranged by some fantastic crocheters/bloggers including Lucy from Attic 24. It runs 28th - 29th September and I cannot tell you how excited I am! I'm heading 'up North' with my buddy from A Bunch of Buttons and we are spending not one but two nights away for a complete crochet fest of a weekend! We've got a cute little B&B booked nearby, and I'm going to make sure the car is clean and empty to fit as much yarn and goodies in it as we can possibly afford (and I've been saving up people. This is going to be epic). Only 32 days to go and I can't wait. Have you managed to squeeze in some crochet over the holiday? Are you up to anything exciting in between that will take your mind off the long winter nights rolling towards christmas?